Supports muscle function in the performance horse. Particularly useful in those geographical areas where the soil is likely to be selenium deficient. Contains selenium yeast, safer to use than inorganic forms. Vitamin E is a powerful antioxidant that has the ability to stabilise cell membranes, thus helping to protect the cell from the detrimental effects of excess free radicals. 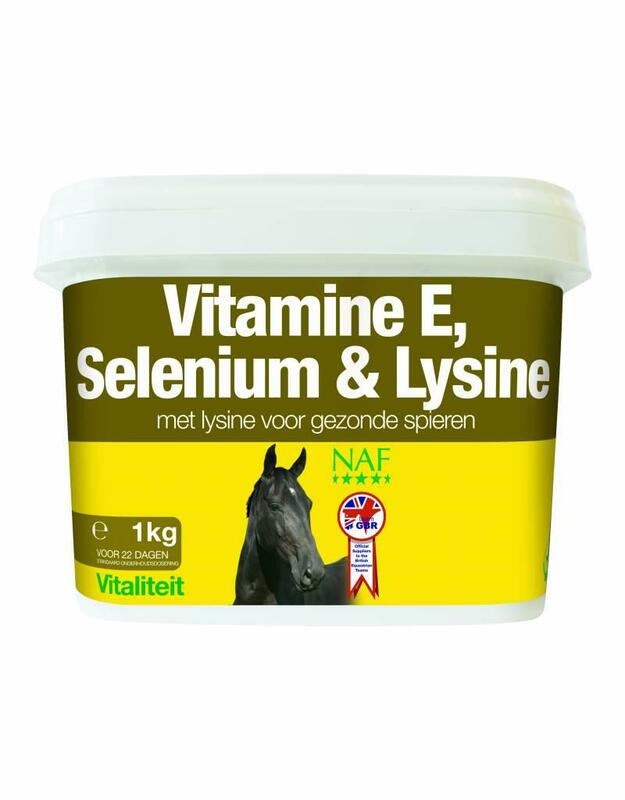 Studies have also indicated the beneficial effects this vitamin can have on the horse’s performance, due to its support of oxygen delivery to the lungs Vitamin E and Selenium are both of vital importance to natural growth, fertility and optimum muscle function. Lysine, an essential amino acid, is necessary for optimum growth and development. Low in feeds of non-meat origin, Lysine can be deficient in many equine diets. Soil in some geographical areas around the UK is naturally low in selenium, which is when supplementing with Vitamin E, Selenium Lysine is particularly useful to improve the diet.